I’ve been working on this for a while, but I finally finished it over the weekend. 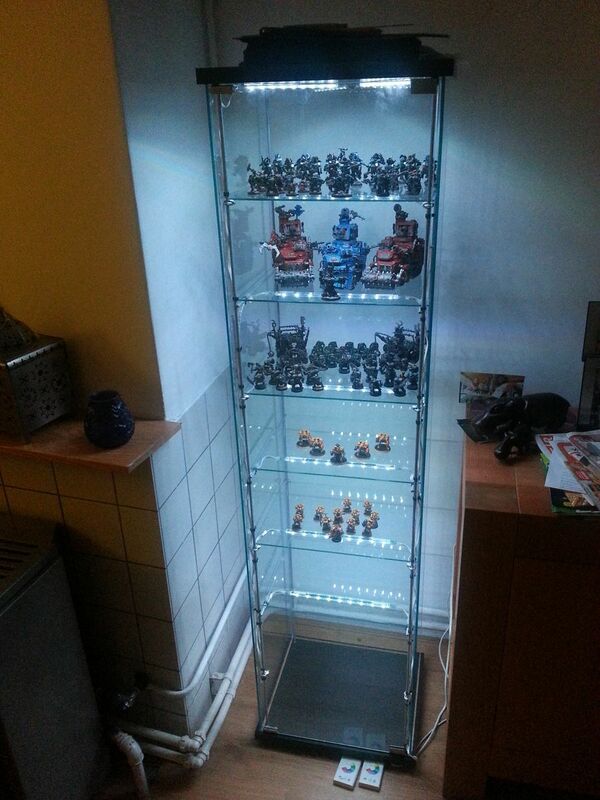 Back in late 2011, I saw this forum thread on DakkaDakka called ‘AesSedai’s guide to building a custom glass display case for your figures’ (Which became an article) which detailed his efforts to use a generic Ikea ‘DETOLF’ glass cabinet as a display case for his models. To say the least, I was smitten immediately and have always gone back every once in a while to see if any updated or others have posted pictures of their own cases. THere have not been that many responses, but I always wanted to do this myself. So, onto this year, with the extra space I now have since moving, an Ikea nearby and a girlfriend who is always willing to go to Ikea, I decided that now was the time to begin this project. As it is, it turned out to be simpler than I initially intended it to be. I purchased the first DETOLF unit and set it up a few weeks ago, but wanted to add more shelves like to article, so following his instructions, purchased some rope clips from Ebay and installed them in the unit, using the existing shelves to measure fit. 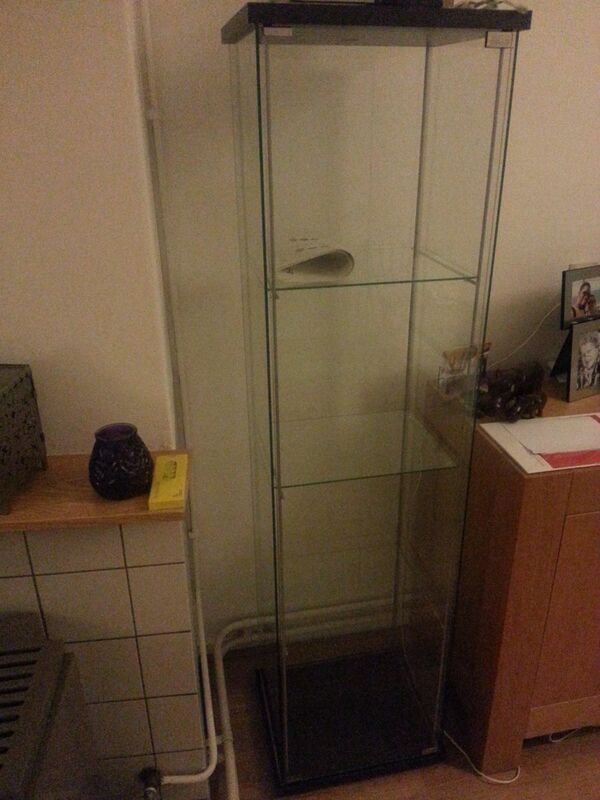 Originally, I also intended to purchase only the unit itself and then buy extra glass like the article writer. 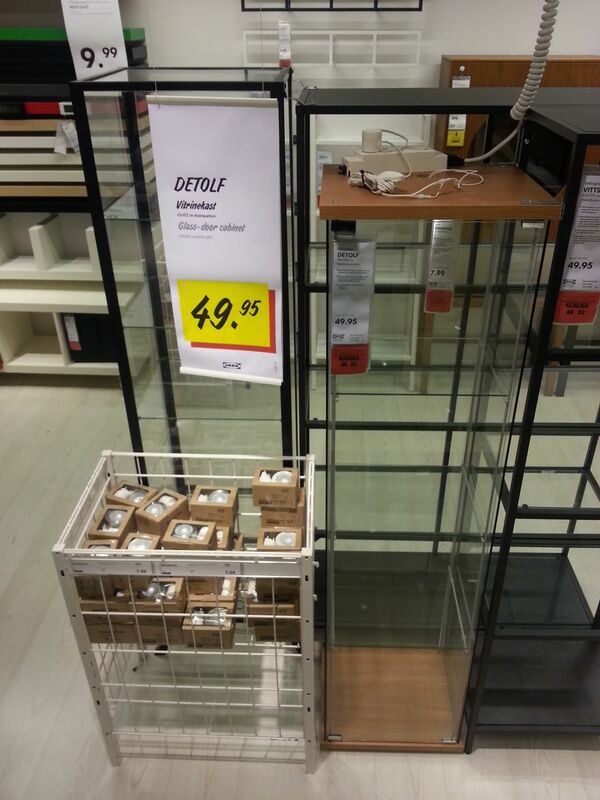 This proved to be ridiculously expensive, in the region of 70+ euros for 4 pieces of cut safety glass. 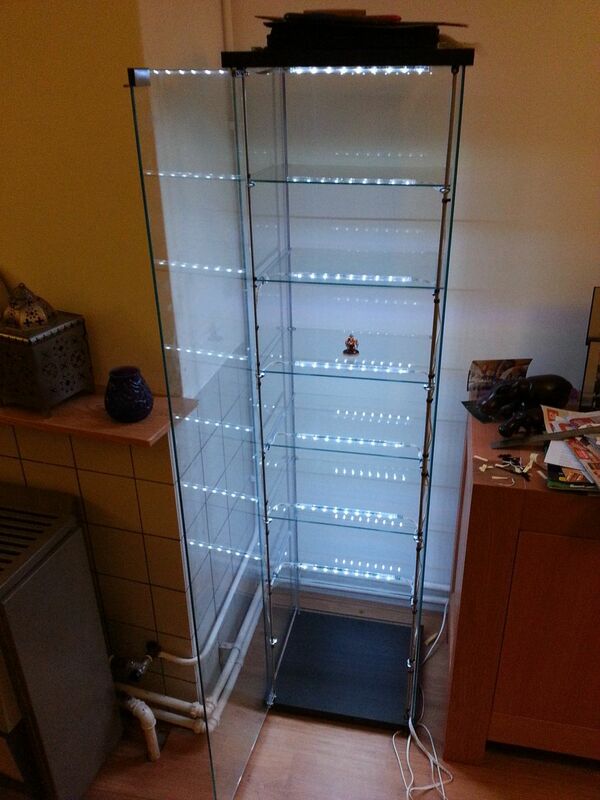 When considering that a complete DETOLF unit with 3 glass shelves included is 50 euros (Not including delivery), I decided to simply buy another DETOLF, and carry the thing home rather than pay a further 40 euros to deliver a 50 euro product. Beware, if you want to do this, this thing is heavy. 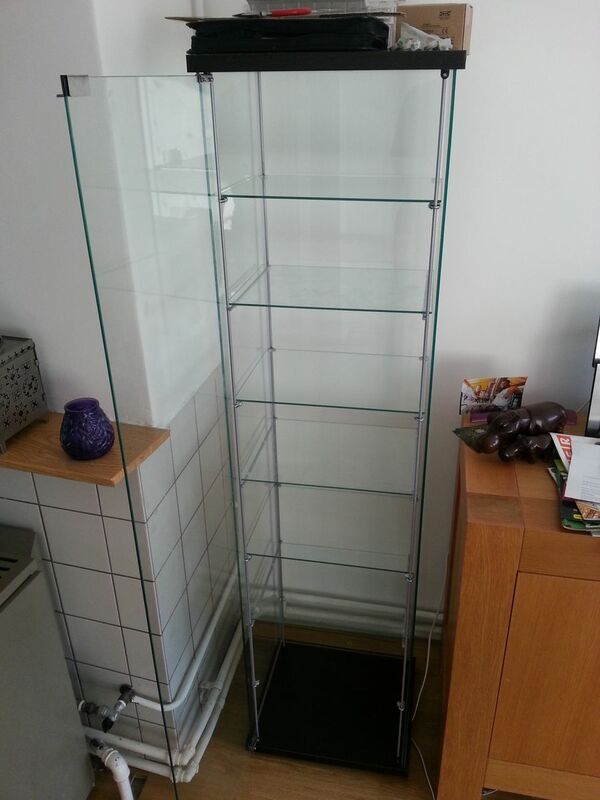 I only really needed it for the shelves, and I got 3 rather than 4, but I may see if I can sell off the rest of the unit as I don’t have much use for it now without the shelves.